This week, after a year of planning, the Charlotte-Mecklenburg Continuum of Care fully launched its partnership with North Carolina 2-1-1 to improve screening and diversion, and provide clear direction for homeless individuals and families. By initially calling 2-1-1, homeless households and households at imminent risk, will be guided to an in-person assessment or referred to agencies that may be able to assist. If there are no appropriate housing resources available at the time, the callers will be provided an honest response and assisted with other needs they may have. NC 2-1-1 is a health and human services information and referral system provided by United Way that operates 24/7/365. Coordinated Entry (which began in May 2014) is Charlotte-Mecklenburg’s portal to connect individuals and families who are homeless to an existing available shelter/ housing resource. Coordinated Entry also helps the community to prioritize resources for the most vulnerable households and to identify gaps and shortages in housing resources. Mecklenburg County is the primary funder of Coordinated Entry.  The City of Charlotte is the lead agency for the Continuum of Care. Using NC 2-1-1 will simultaneously enhance customer service and help maintain compliance with HUD standards. If caller is not homeless, but is precariously housed, the caller will be provided information about other available resources. If there are no available resources, the caller will be so informed, and given guidance about checking back. A Community Meeting was held on October 23 at Covenant Presbyterian Church to educate the community about the partnership, raise awareness of this community’s needs for additional housing resources, and describe the new process.  The Coordinated Entry Oversight Committee has representation from Mecklenburg County, the City of Charlotte, Emergency Shelter, Permanent Supportive Housing, Rapid Re-Housing, and a non-governmental funder. Current members include: Rebecca Pfeiffer, City of Charlotte, Helen Lipman, Mecklenburg County, Pam Jefsen, Supportive Housing Communities, Stephen Smith, Charlotte Family Housing, Deronda Metz, Salvation Army, and Laura Clark, United Way of Central Carolinas.